GRAVENHURST, ON – Sawdust City Brewing and Great Lakes Brewery have announced the release of a new collaborative lager celebrating Canada’s 150th birthday. Using 100% Ontario grown ingredients, we’ve brewed a classic pilsner style lager. Malt from the good folks at Barn Owl (Belleville ON) and hops from the VQH farm (Eden, ON) give this lager a light, cracker body that builds to a hop forward and dry finish. Perfect on the dock in summer or after the game in the winter. 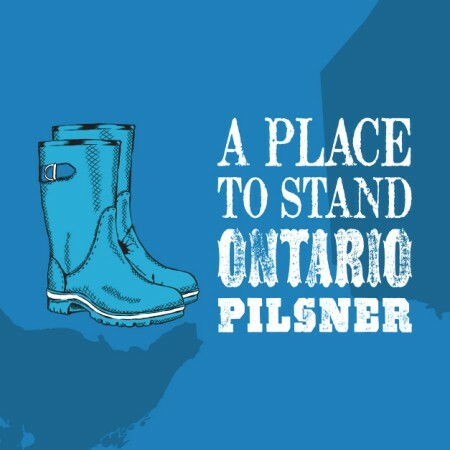 A Place to Stand is truly a taste of Ontario! A Place to Stand is available now in the Sawdust City taproom and retail store, and will be released soon at select LCBO outlets in Ontario.